A classic marketing strategy is to engage your customer emotionally to get them to buy. In the offline world, achieving emotional engagement is done best by face-to-face interactions, such as talking to the car salesman in the lot, and tactile interactions, such as picking up the book and turning it over in your hands. When you make people feel something, you help them open up to hearing your messages with less suspicion. When we talk about connecting emotionally online, though, there’s a sense that you have to get your product alone to trigger an emotional reaction. That, or you need a big ol’ photo of two happy people. But is that really the case? Does a stock photo of a woman hugging her computer make me feel connected to the software you’re trying to sell me… and open me up to receiving the marketing messages? I’d argue that we’re missing the point. Yes, it’s true. The computer is your salesperson. The website is not your saleperson —– it’s just the storefront. The messages on the screen are the words your salesperson says. The images on the site are the framed photos on the wall of the store. That means that this hard, cold little box with wires sticking out of it is the most frequently approached member of your sales force. Uh oh. A cold, hard box is supposed to replace the salesperson – and the emotion-filled opportunities they bring to a sales chat. Is there any hope?! As Nass, Steuer and Tauber showed, even though interactors know that a computer is not a person, they will often assign personalities to computers (as referenced in Zdenek, 2007) and, as Cassell showed, “attribute to them human-like properties such as friendliness, or cooperativeness” (as referenced in Zdenek, 2007, p.404). To overcome the mediation of computer hardware, interactors effectively transform the computer into something that more closely ‘resembles’ a person. We’ve already noticed this behavior at our desks, when the computer freezes and we shout at it. Or when we’re trying to retrieve a file we think we’ve lost, and we beg the computer to find it. This means that users can be open to connecting emotionally with this little plastic salesperson. You just have to pull their heads away from the idea that they’re dealing with a little plastic salesperson instead of a warm-blooded salesperson who can blink, laugh, get distracted, pay attention… and basically be as imperfect as a human. You have to make all cues that say “computer” virtually disappear. People connect emotionally with people… so you need the computer to disappear from the line of sight of your users. When the computer goes away, it makes room for a personality-filled, emotional interaction between your website and the person sitting at their desk. That means that a perfect font is a cue that you’re dealing with a computer – not a human. No, you shouldn’t eliminate all fonts on your site and hire some poor chap to come in and handwrite all your copy. That may not result in the most usable site. 🙂 But you can follow the lead of some websites that are managing to find a balance between precise, readable fonts and short, quick, personal-feeling notes. 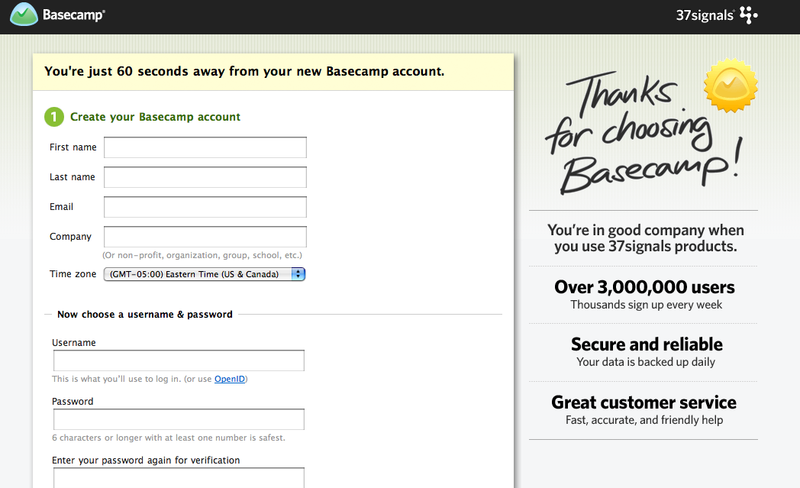 The nice, personal-feeling "Thanks for choosing Basecamp!" is more effectively rendered in a handwritten style. 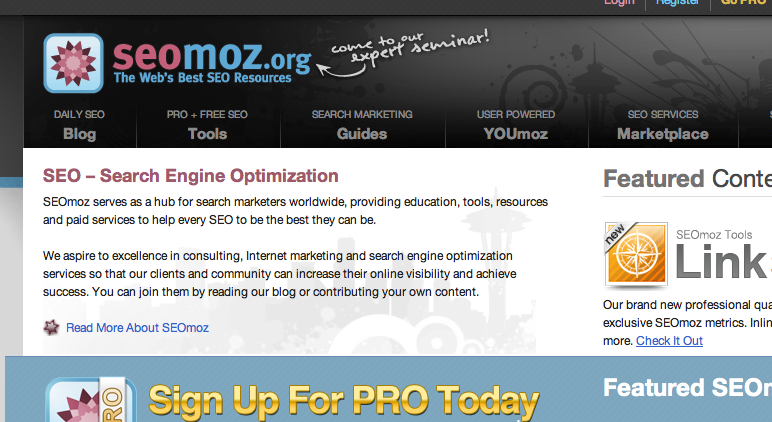 seomoz jots down a quick, personal note inviting site visitors to their conference. If you’re not keen on using handwriting on your site (‘cos, say, your brand managers have a stranglehold on the fonts you can use), using a variety of fonts can also replicate the sense of ‘scattered’ personal writing. 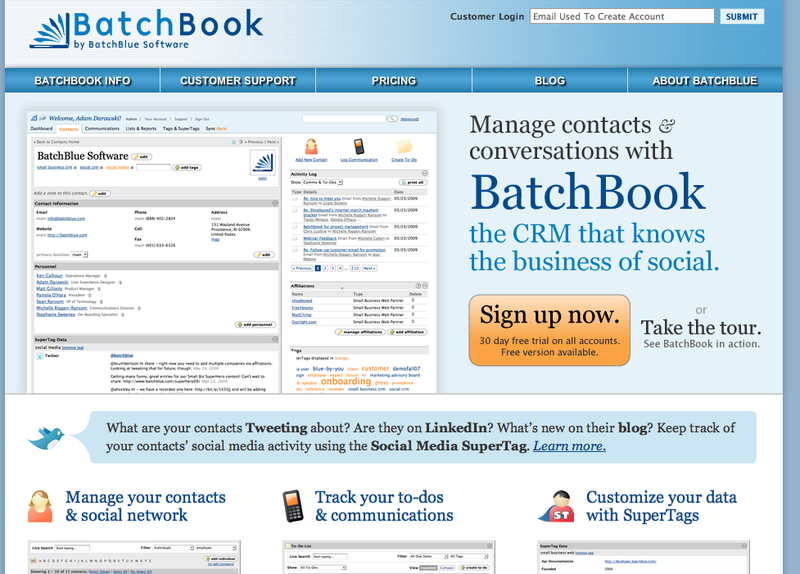 BatchBook CRM solutions for small businesses mix things up a bit with a variety of fonts, font sizes and font colours, replicating what you might see in an average joe's notebook. The goal is to keep people from believing they’re interacting with a machine. Remove cues that suggest coldness and perfection, and opt for a little bit of fun and personality to encourage users to open themselves up to the suggestions (i.e., marketing messages) of your website. « Interactivity – The Cure for the Common Cold and World Hunger?